We are in a stretch of pretty good pollination weather, however it looks like we will get some wet weather towards the end of the weekend and into next week. If you are in Botrytis prone areas or you are concerned about this disease, an application before this next wet period would be worth considering. 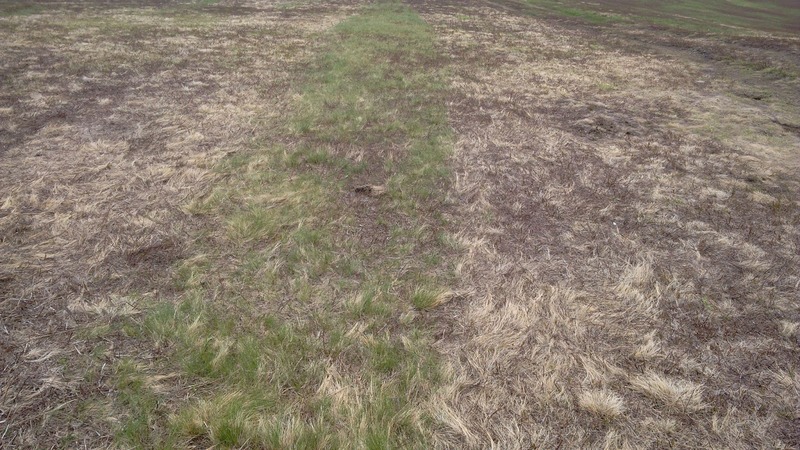 We are starting to see the impacts of herbicide applications from this spring and last fall. The photo below was from a November 27th application of Kerb to control fescue. I applied it with a 2 metre CO2 sprayer. You can see the "control plot" in the centre of the screen that didn't receive any product.